Dr Anwar is the Lead Consultant at Christchurch Group's Park House in Bedford. A Consultant in Rehabilitation Medicine at Addenbrokes Hospital in Cambridge, Dr Anwar is Clinical Lead for Trauma Rehabilitation within the major trauma centre. Dr Anwar's special interests are acute and post-acute rehabilitation following trauma, long-term neurological conditions, acquired brain injury and complex spasticity management (including botulinum toxin injections, phenol nerve and motor point blocks) and all aspects of chronic pain management. 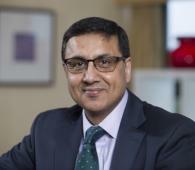 Dr Anwar is an active member of the British Society of Rehabilitation Medicine.